Happy Monday! Thanks for being here for Make A Difference Mondays, a place to get intentional about starting our weeks focused on the positive and put our heads together to dream up ways we can make a difference in this world! That word is no stranger to my husband and I. We know full well the fear, the anxiety, the arduous journey represented by that word I hate with all of my heart. Our family's experience with cancer is filled with tears and anger and mourning. But it is also filled with memories of God's provision during the darkest moments and with answered prayers - small and large. Despite the dark road, it is filled with faith, courage, and love. Our family's experience with cancer is also filled with the kindness and love of complete strangers, people who went out of their way in that fleeting moment of connection to encourage and to love our loved ones. Last week I received an email from a cousin explaining about Nicole, a 29-year-old Minneapolis woman who is fighting for her life against multiple forms of cancer. Nicole's past year has been marked with invasive tests and procedures, surgeries, chemo, blood transfusions, and radiation. My cousin explained Nicole's situation and asked, just maybe, if I might consider sending her a card of Christmas cheer as part of my family's Advent Acts of Kindness adventure. My response required no thought - of course we would wrap Nicole into our kindness crusade! 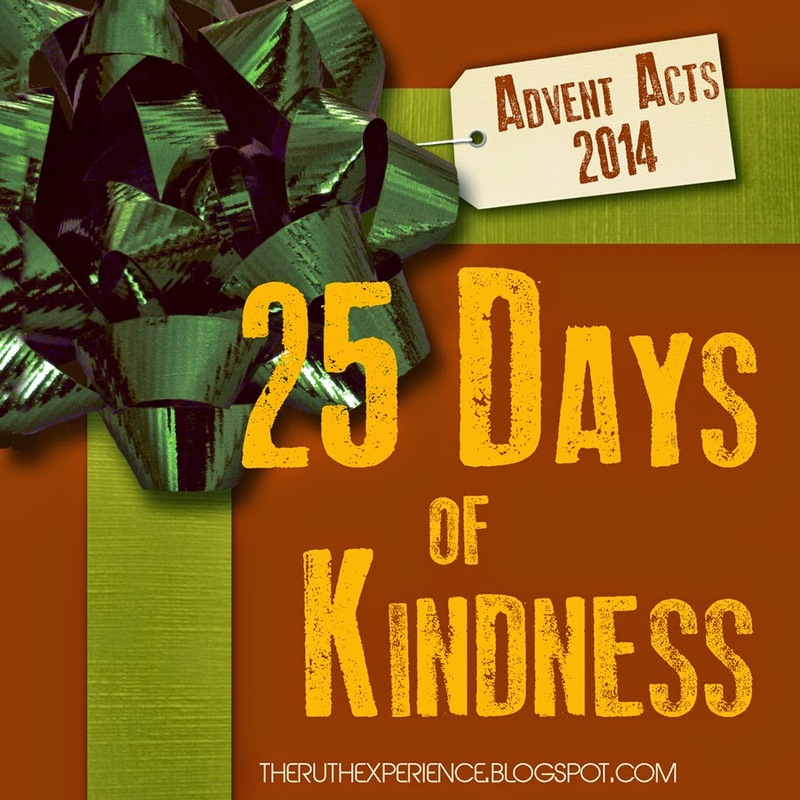 I emailed Kendra and Kristin - my co-conspirators behind The Ruth Experience - and we've adopted Nicole as our Advent Acts of Kindness Christmas Finale; our last, big project wrapping up this season of kindness, of thinking of others, of finding ways to recenter ourselves and our families on Christ during the season of His birth. Nicole would be especially blessed to receive some gas or grocery cards for stores located in Minneapolis (Cub Foods, Super America, Holiday are examples) to help her meet her basic needs. The medical bills are astronomical, and she hasn't been able to work much this past year. For those of you wanting just a bit more personal information, Nicole is a gardener and loves all things plant-related. 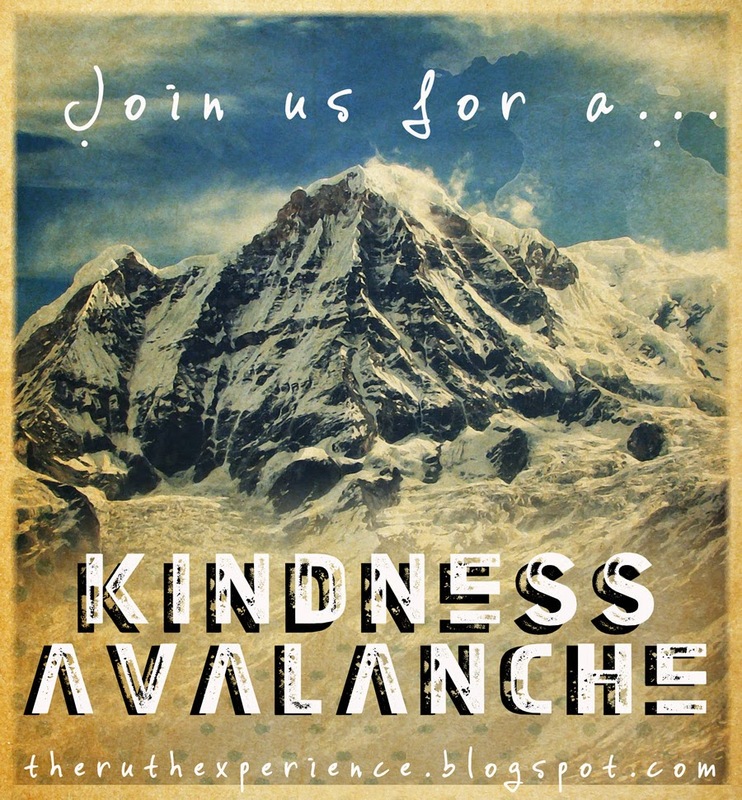 If you have questions or want to coordinate a bigger effort, you can email me at theruthexperience@hotmail.com. Thank you, friends. And, now - join us for Make a Difference Mondays! Make A Difference Mondays is a weekly linkup designed to encourage and inspire us to live each day on purpose by making a meaningful difference in someone’s life in even the smallest of ways. Five women regularly co-host this link-up and will appear on all five of our blogs along with three wonderful co-hosts who fill in as guest hosts on the occasional day that a regular co-host is not able to post. Read on to learn more about our vision, mission, and how to link up! Every Monday we will invite bloggers to link up any blog post that encourages women to live life on purpose. This could include testimonies or goals from your own life, small acts of kindness or service, creative tips or ideas for showing consideration to others — the possibilities are endless. Our objective is to use our God-given time and resources to His glory! Be sure to grab the sparkly image above or grab the same image in the square version from the sidebar for your posts and/or include a link back here within your posts. Any on-topic posts are welcomed, no matter how old and no matter how many! Today we are linking up with Kelly Balarie at Purposeful Faith, Jennifer Dukes Lee for TellHisStory, and the SDG Gathering. My wife lost her best friend to cancer almost five years ago. Thank you for sharing this, and for making a difference. Wow! Love the theme of your linkup. Thank you so much for letting me know about it! These is a great cause! And, I am happy to know about the Monday linkup now! Thanks for cheering others on to serve with me this week! Talk soon and keep sharing the beauty that is you beautiful ladies! On starting the New Year right. Muscle shirts, athletic pants and picture day.